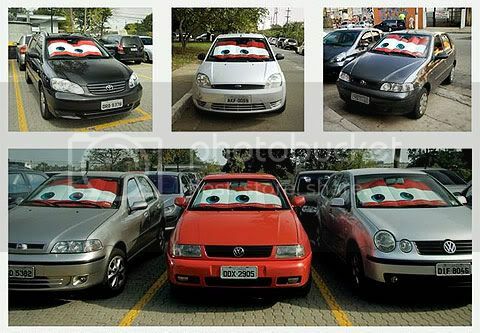 Created by Young & Rubicam to divulge the movie CARS. Smart way to do it. If you have a flickr account, here is a nice way for showing to everyone what your photos are all about!!! One interesting week news is that Pluto isn’t a planet anymore. It is now called Dwarf Planet. But what it have to do with technology? Well, while in Wikipedia, the article of the ex-planet was modified some hours after the official announcement made by IAU, normal school books will only be updated just in… 2008. Google Talk turns one year old tomorrow and decided to celebrate with some upgrades and a new Egg Easter. If you change your computer date to 24/08 you will realize some change on the image shown on top of the program. And see what most Gtalk users will see tomorrow. Well, I love Gtalk and have used it for some months now. And One thing I can tell, it’s way better then MSN, much more simple and efficient. So HAPPY BIRTHDAY GOOGLE TALK!